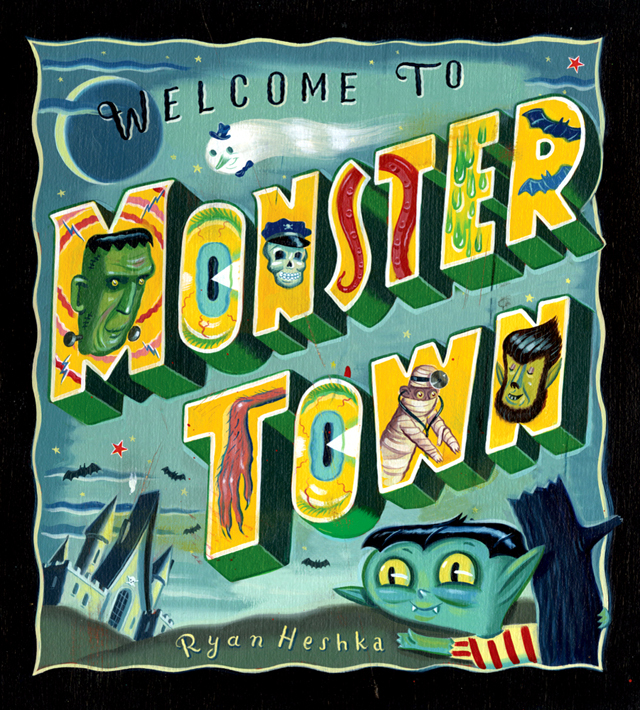 Welcome To Monster Town is a spooky / cute children’s book created by self-taught artist Ryan Heshka and published by Macmillan that takes you through the daily work habits of a large group of memorable monsters. Ryan’s old movie, comic book, and classic animation influence really shows in the excellent illustrations throughout the book. 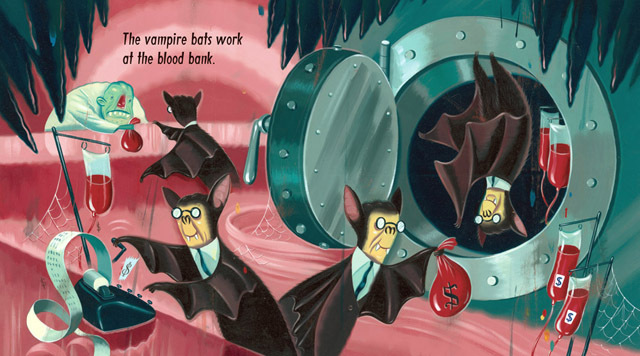 According to book editor Christy Ottaviano, Welcome To Monster Town has been sold to Dreamworks Animation and is currently in film development. Hardcover versions of the book are available to purchase at Amazon. 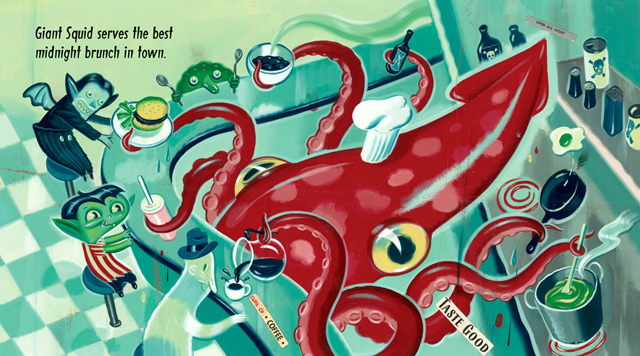 As soon as the sun sets on Monstertown, creatures of all kinds go to work. 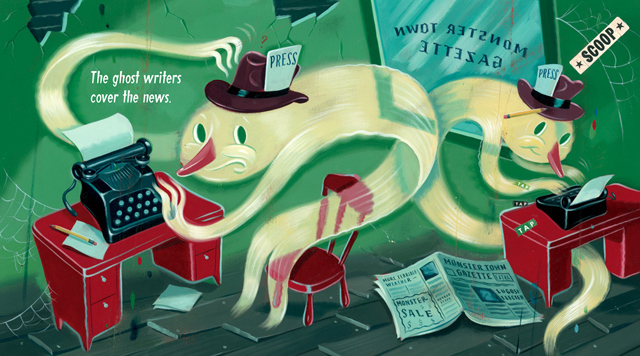 So hop on the Ghoul Bus and see for yourself who inhabits this ghoulish town. Dr. Cyclops, Postmaster Skeleton, Frank N. Stein, Dr. Mummy, Captain Witch, and many other monster friends—including a junior monster-in-training—will welcome you with open arms!